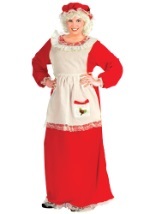 Join Santa in the festivities with this Mrs Claus costume! 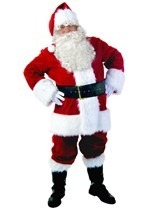 The adult costume includes a red velvet dress that zips up the back. 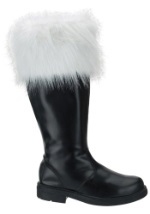 The collar, cuffs, and hemline feature faux white fur. 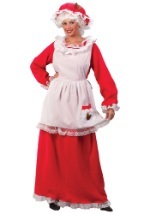 The white apron has lace trim and ties around the waist. 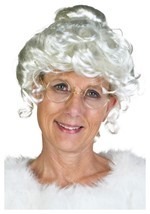 The red hat also has white lace trim with an elastic band for a comfortable fit around your head. 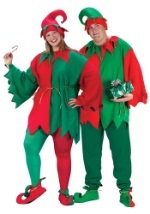 Add our Christmas accessories or a Santa Claus costume for a fun couples idea!